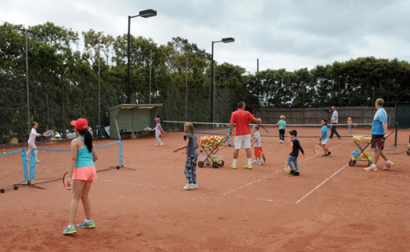 Koonung Park Tennis Club meets the needs of the community by providing tennis facilities to members and non members alike. There are 9 en-tou-cas surfaced courts, six with lights, situated on Springfield Rd diagonally opposite North Blackburn Shopping centre. Ample parking is available on site. The Club caters for a wide range of player abilities for social tennis or competition for Juniors, Seniors, Pennant players, Mid week ladies, Men’s Veterans and Night teams Monday to Thursday. 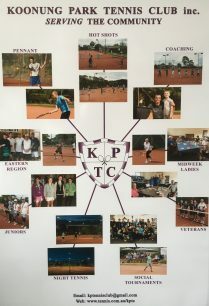 We have affordable annual fees, with options for adult, junior, family, pennant only and friends of KPTC. We also have a professional club coach with coaching available for all ages. Click on the Coaching page for further details. We welcome players of all age groups and playing standards. Click on the Membership page for further details and a downloadable application form. Courts are now open for play.